Ranch dressing is at the top of the list of Americans' favorite salad dressings, but it might shine even brighter as a dip. 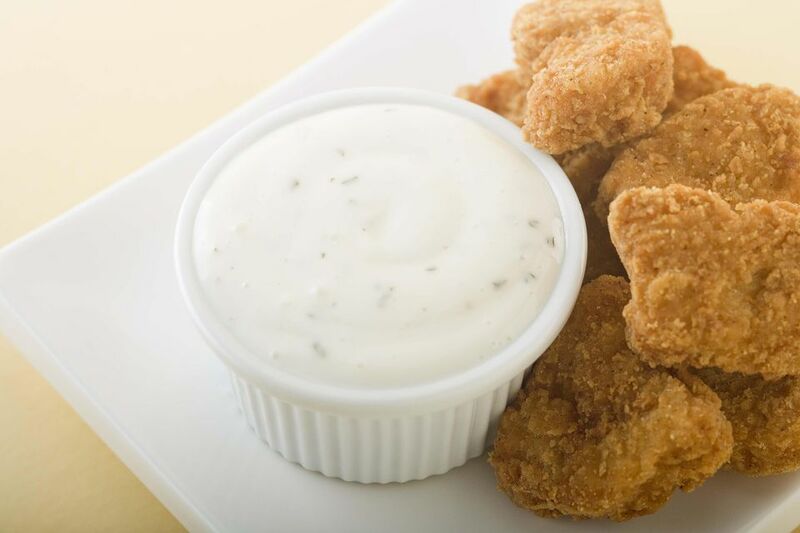 ​Ranch dressing is delicious served with everything from raw vegetables to fried chicken wings. This recipe takes just 5 minutes to whip up. Delicious though ranch dressing is, you might want to pay attention to how much you use on salads or scarf down as a dip. A serving of 2 tablespoons adds about 145 calories to your daily intake; this varies a bit depending on the recipe, but it's a good ballpark number. The main reason for this: 15 grams of fat, some of which is saturated. Ranch dressing is the direct opposite of health food, but it sure does make everything taste heavenly. Combine the mayonnaise, buttermilk, sour cream, salt, pepper, onion powder, garlic powder, thyme and parsley in a bowl and whisk until completely mixed.